A word of advice for the do-it-yourself (DIY) types: Cutting corners costs. For starters – peace of mind. Also, less-than-optimum fit and the potential for having to do it all over again, wasting more time – something we all have too little of these days. Save yourself the trouble and instead opt for genuine Hyundai parts from Lauria Hyundai. Made by the same skilled engineers whom you can credit for the enduring quality of your new or used Santa Fe Sport, Elantra, Sonata, Genesis or Veloster, Accent, Tucson, you can enjoy not only the satisfaction that comes from doing it yourself, but knowing it fits like a glove and that it will last. Underscoring these virtues are parts warranties. To order the genuine Hyundai parts you need today, simply submit the order form here. 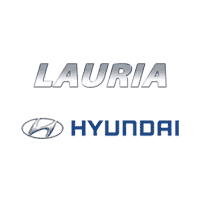 Call the Lauria Hyundai car parts department located conveniently at 50 Benson Ct, Port Hope, Ontario. Or, swing by and speak to our helpful sales staff in person. Welcome to our All Makes Parts Department. Our award-winning service and parts department is ready to service all makes and models. We have plenty of room to do our thing! A 3 lane drive-thru greets you when you first arrive. This is where you will meet our friendly and knowledgeable staff. We stock a full lineup of both Hyundai and AC Delco parts enabling us to maintain and repair all makes and models. From the simple things like Lube, Oil, and Filters to highly technical engine and electrical repair, our techs have the training and the tools to get the job done. Trust the Lauria Hyundai team with all your service and parts needs. You’ll be glad you did.